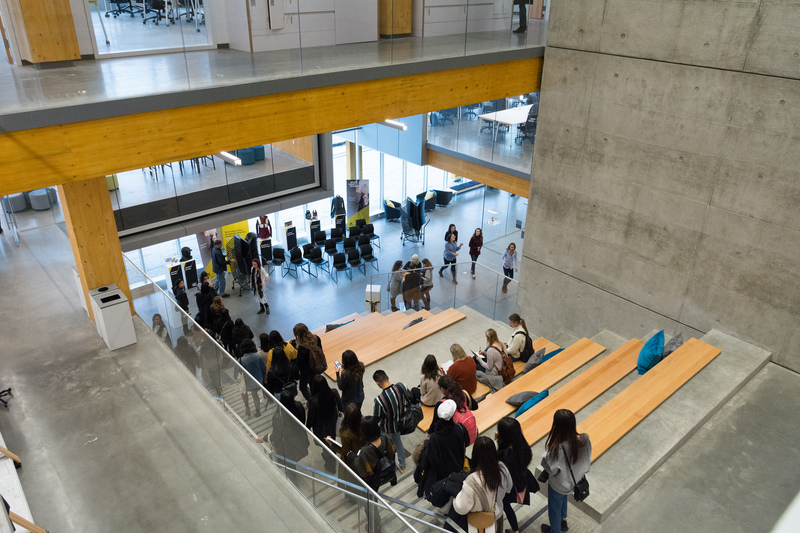 Working in collaboration with Vancouver’s Public Architecture, Toronto-based KPMB Architects have added a major new institution to British Colubmia’s Kwantlen Polytechnic University. 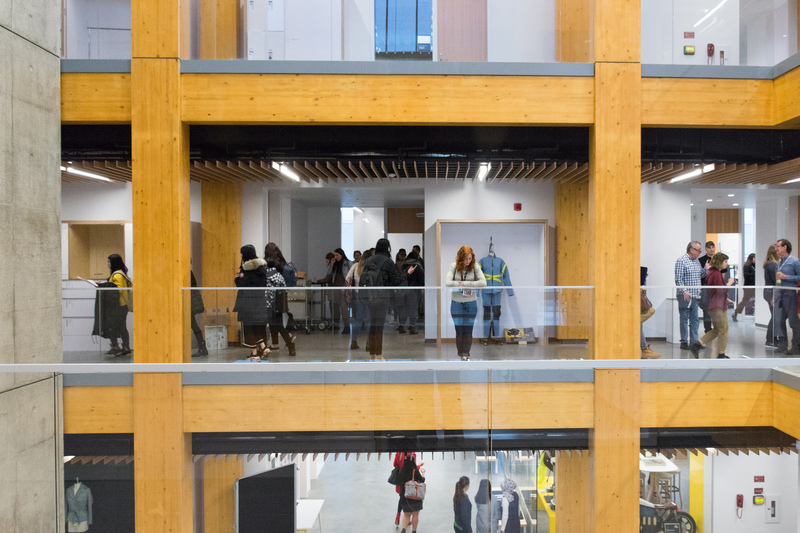 Unveiled yesterday, the new Wilson School of Design introduces 140 full-time seats to the growing university, making for a total of almost 700 design spaces at the Richmond institution. The design team for the Wilson School was selected in 2013, and construction kicked off in 2016, with the $36 million project supported by a $12 million contribution from the British Columbia government, as well as an $8 million private donation from Chip and and Shannon Wilson, for whom the new school is named. 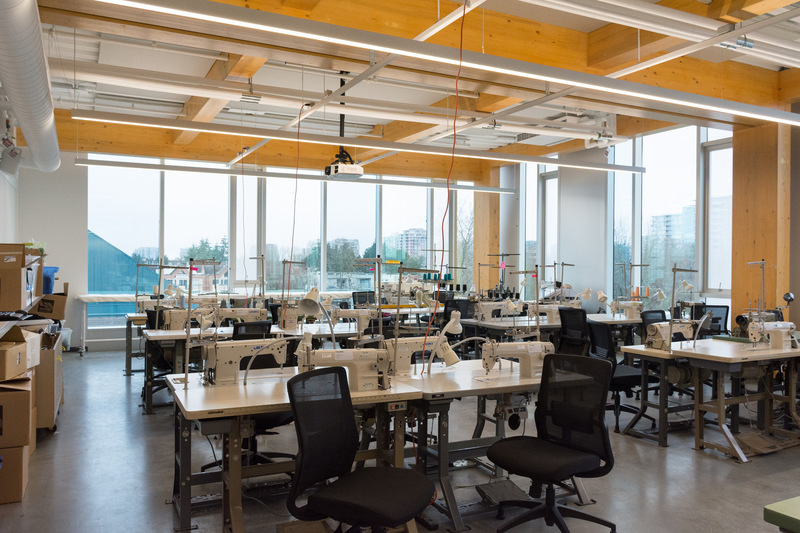 As the founder of ubiquitous ‘athleisure’ brand Lululemon, Chip Wilson celebrated the new school as a positive recognition of British Columbia’s innovative apparel design industry. “The province is home to world-class technical apparel companies, and we now have a state-of-the-art facility and training programs to supply the technical demand,” said Wilson in a release. “As well as providing a new face and main entrance to the campus, the design re-orients the entire precinct to values of accessibility, sustainability, openness and transparency,” the KPMB team concludes on their project website. A closer look at the opening is available at our sister website, Building Magazine. You can find the rest of the story at Building, linked here.